With technology growing by leaps and bounds, there are many great tools available to help you accomplish specific clinical tasks with an everyday ease. An app can be a savvy tool to bridge the internet gap by making information and data available at the point of service. 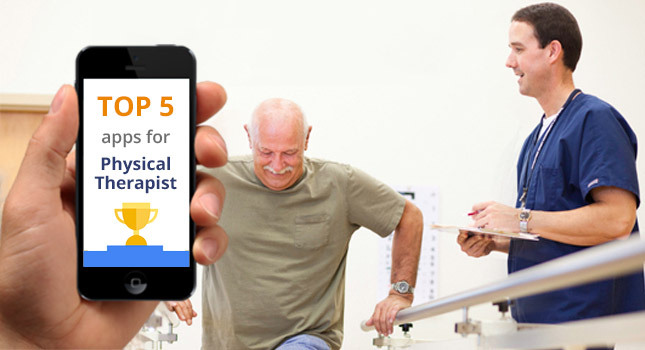 1) StarT Back: This is a free prognostic app designed by Keele University to help clinicians and therapist identify the risk factors associated with the back pain. It uses a simple tool to match the risk level to treatment methods appropriate for that pain. It helps to decrease disability from pain and also help save money by making better use of health resources. 4) Goniometer: This iPhone app helps to measure angles to ensure that an object rotates to a specific point. One of the most common uses is its ability to measure a patient’s range-of-motion (ROM) for a specific joint. This measurement can be used to measure the extent of a patient’s injury and also the expected time for their recovery. 5) CORE: Clinical Orthopedic Exam priced at $39.99 is a portable, expert reference tool for effectively diagnosing orthopedic disorders and musculoskeletal ailments. It offers more than 400 clinical tests with a detailed description, video demonstration, diagnostic properties, medical references, and more. With functional, relevant testing for each exam, this is a nifty app for making evidence-based, clinical diagnosis. Want another way to make technology work for your PT practice? See how the right physical therapy documentation software makes scheduling, documentation, practice management, and billing better? With an effective Practice management software in place, you can increase your profits, increase the efficiency of patient care, and positively impact your credibility in the market.